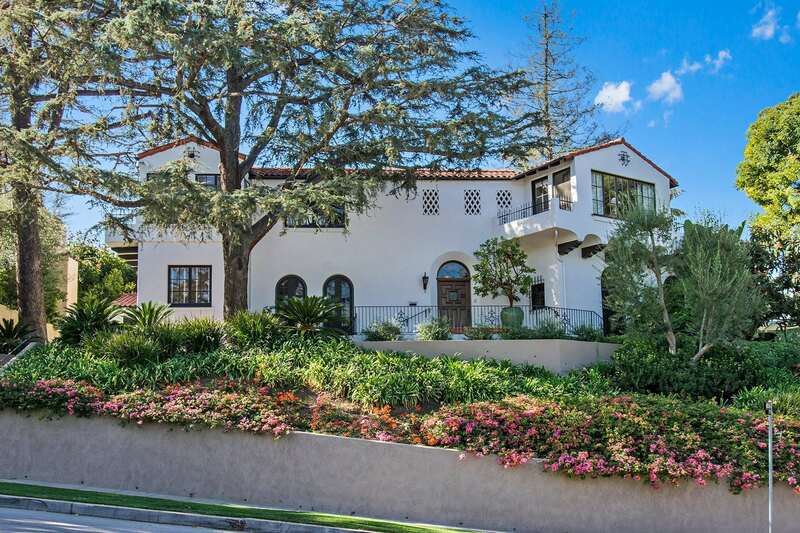 Step over the threshold of this phenomenal estate in Cheviot Hills and be transported to an era of grand Hollywood glamour. 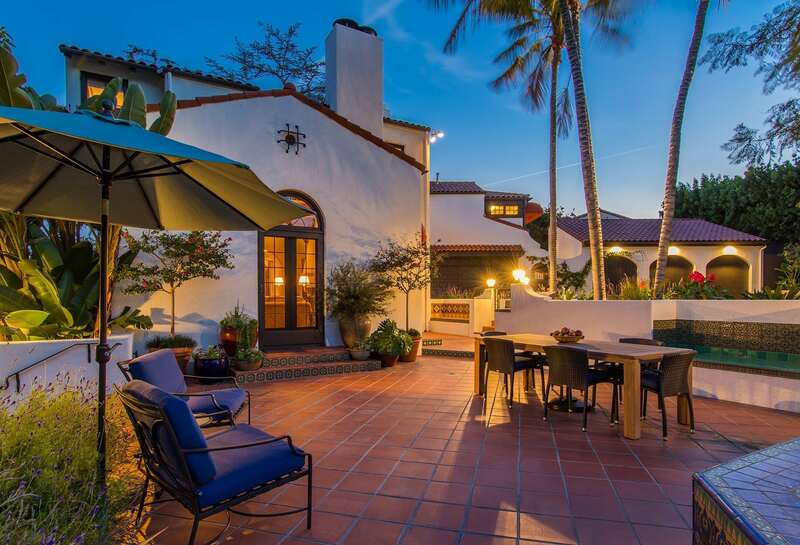 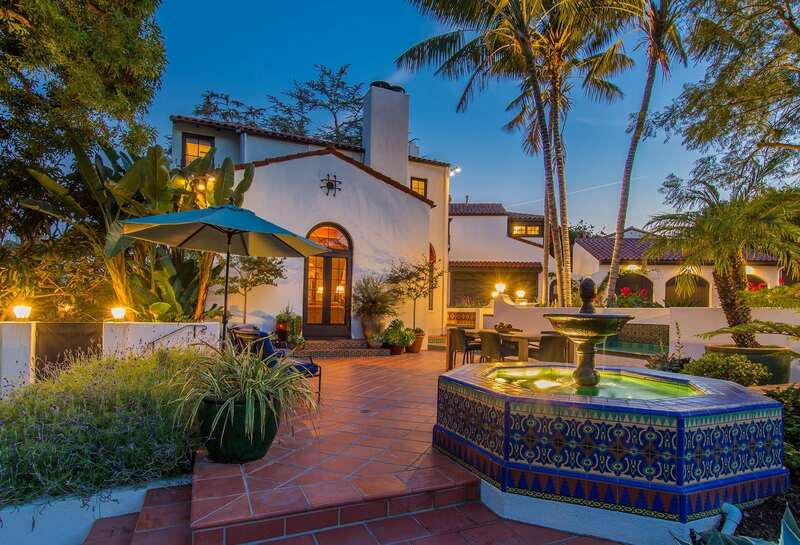 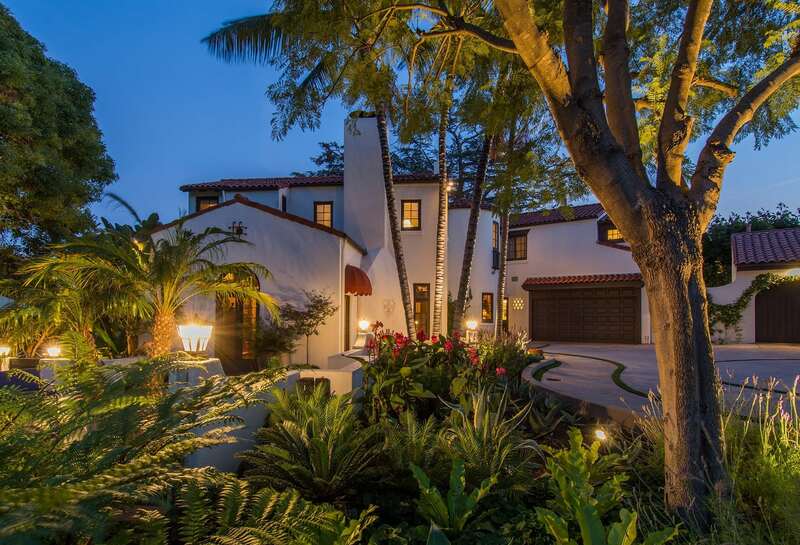 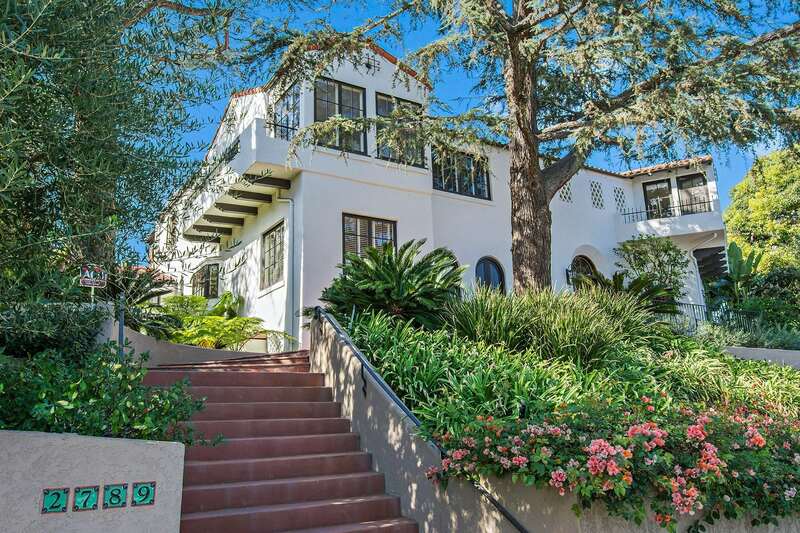 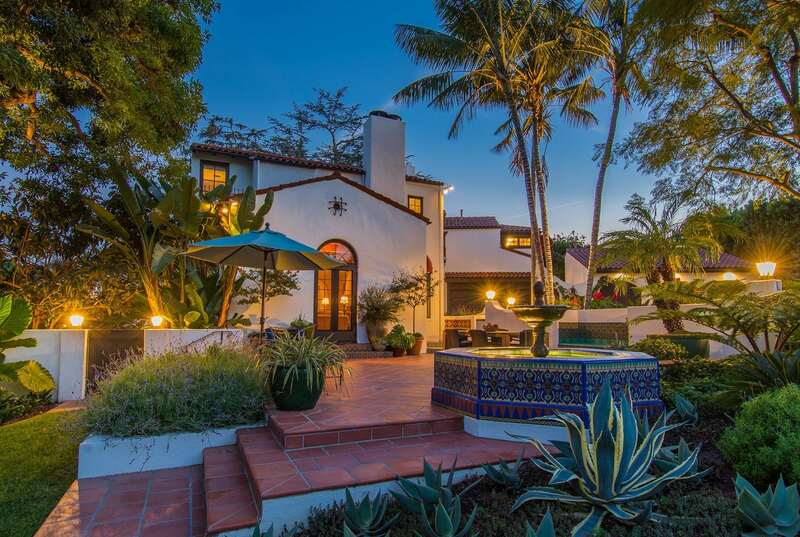 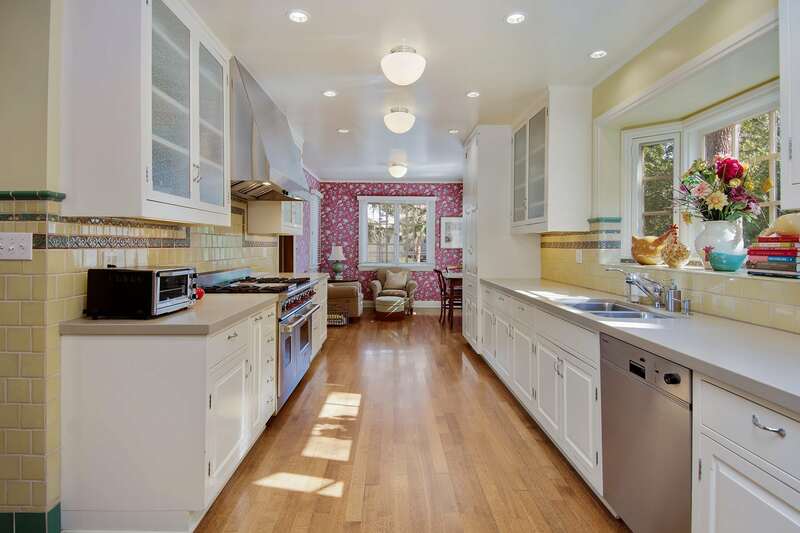 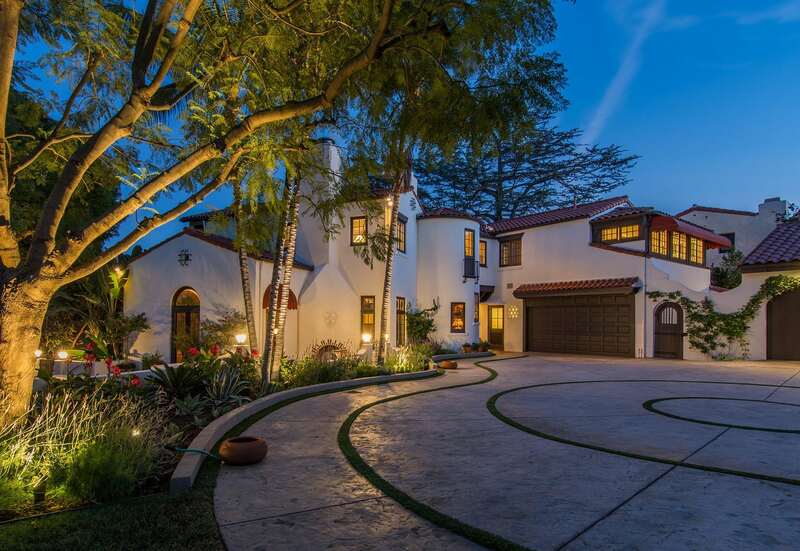 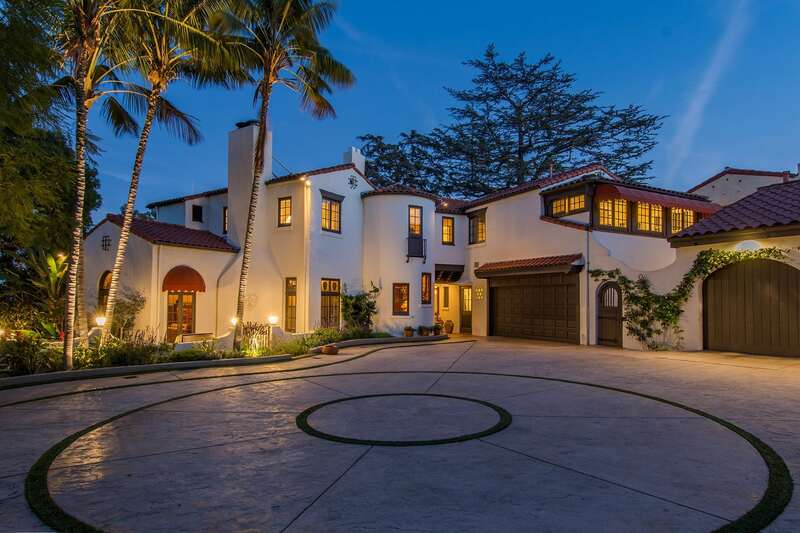 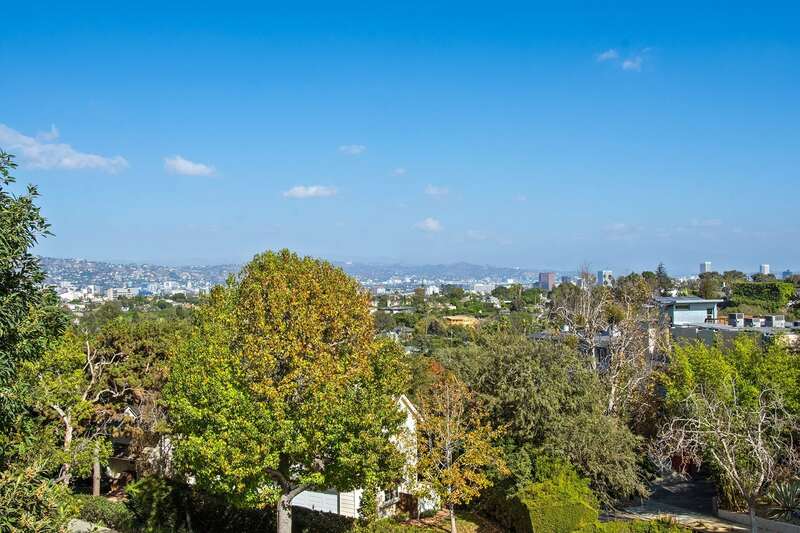 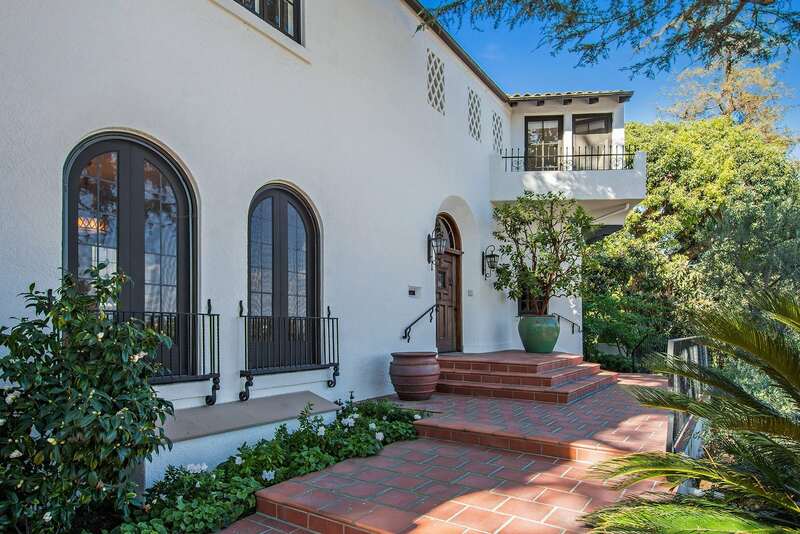 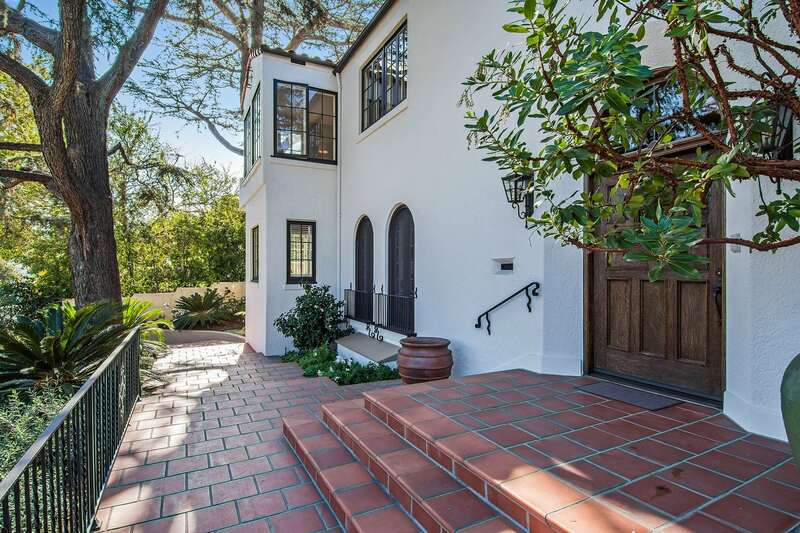 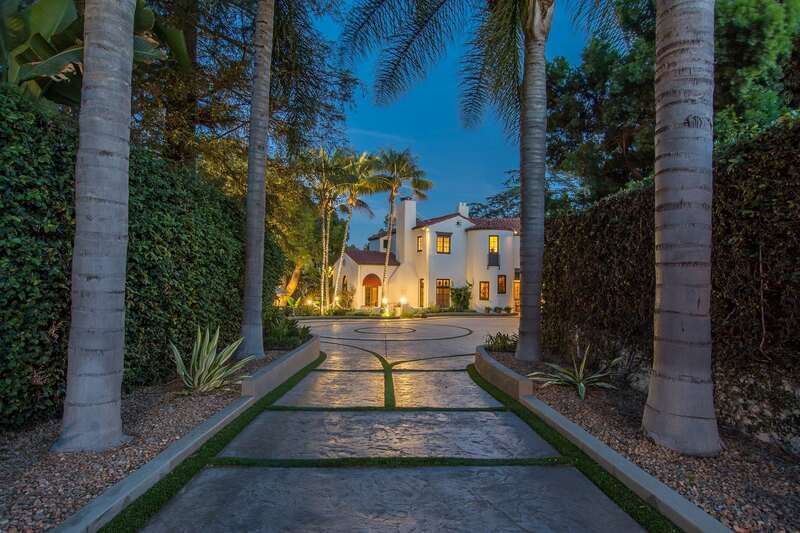 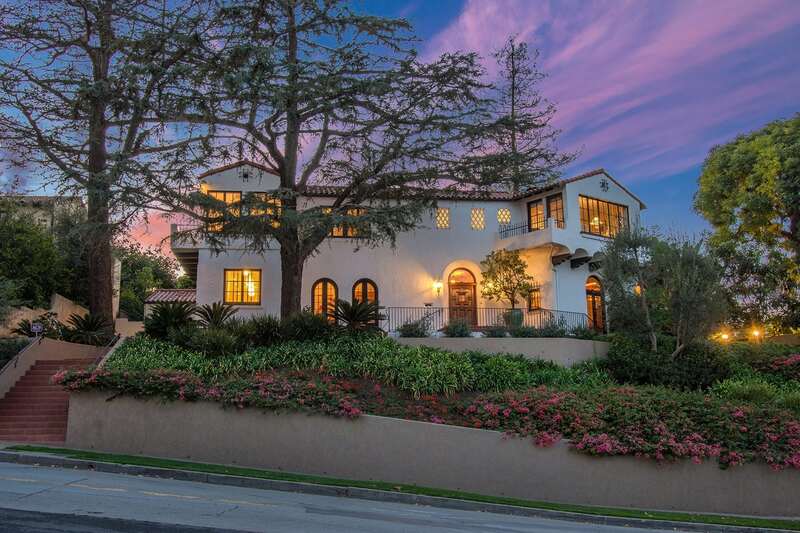 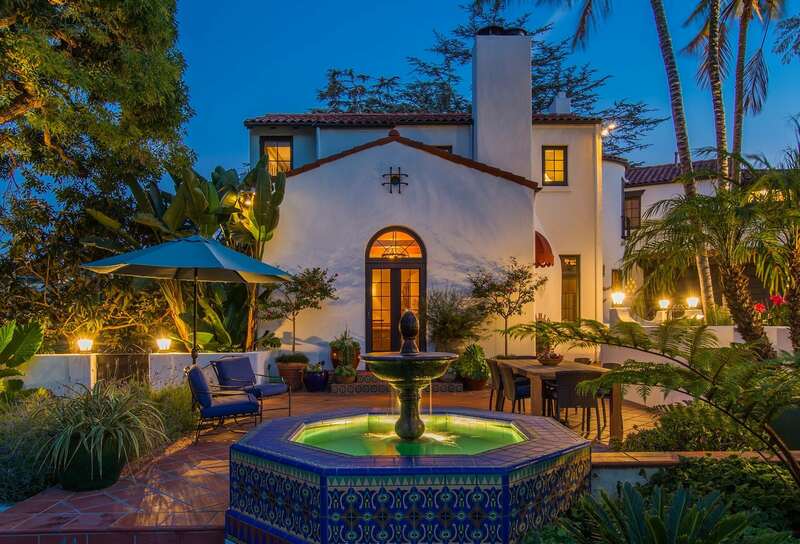 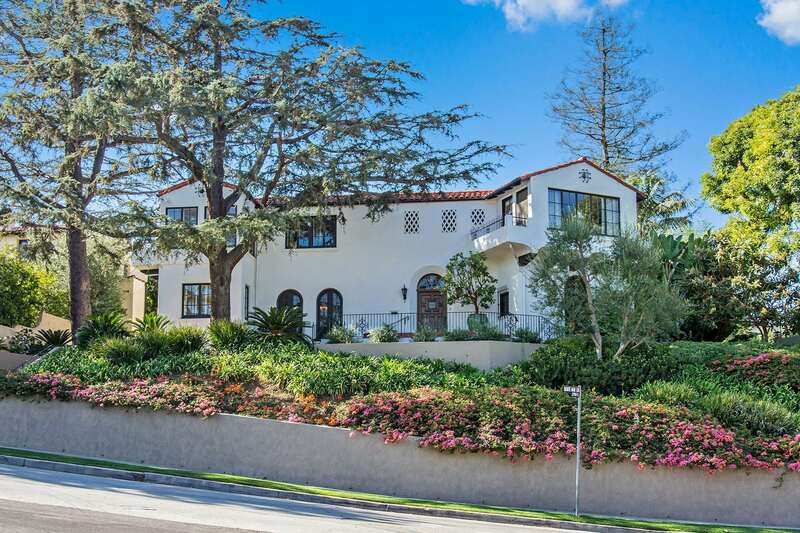 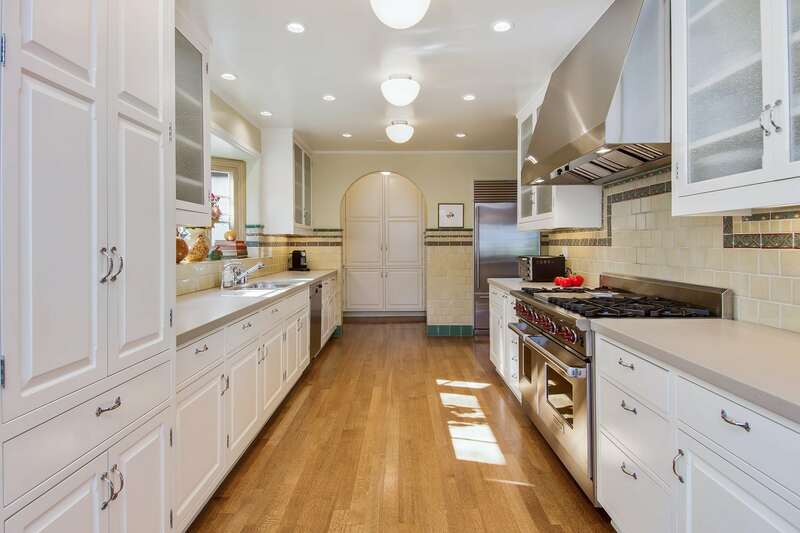 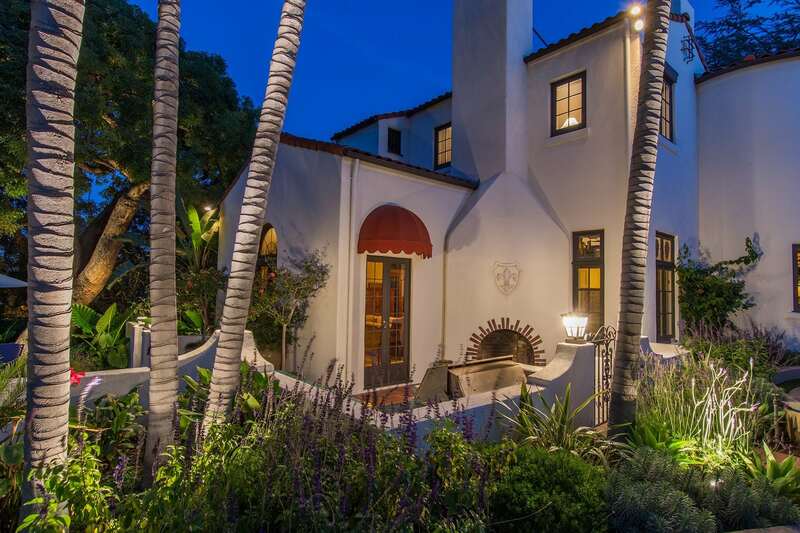 From its perch high atop one of the most enviable streets in the neighborhood, this magnificent Mediterranean style, 4,253 square feet (per public records) on a 23, 416 sq. 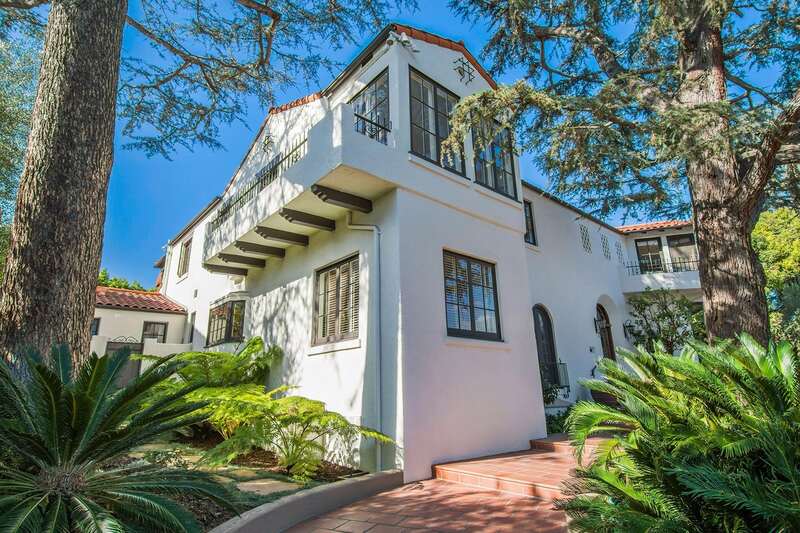 ft lot was originally built in 1926. 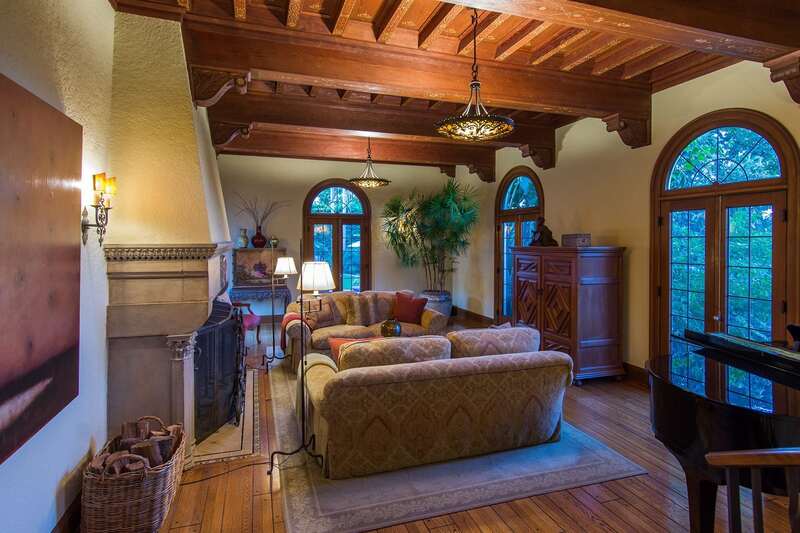 Exhibiting an inspiring craftsmanship, this home exudes strength and history without sacrificing style or beauty. 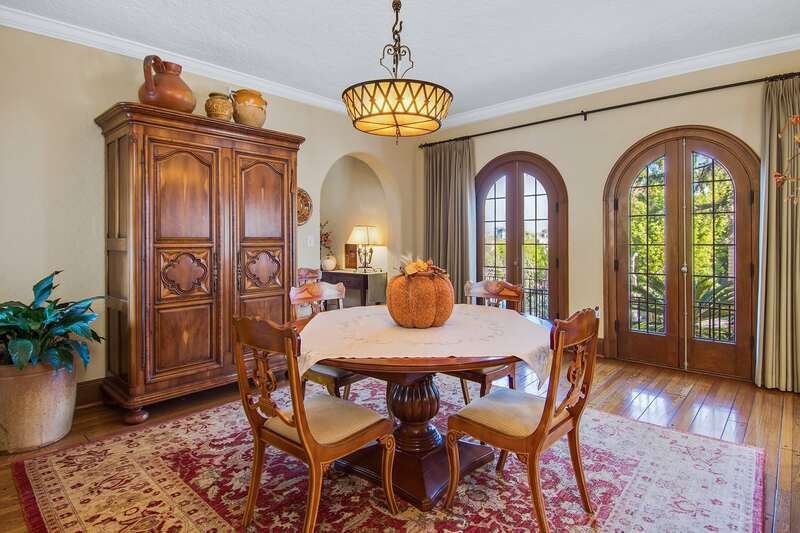 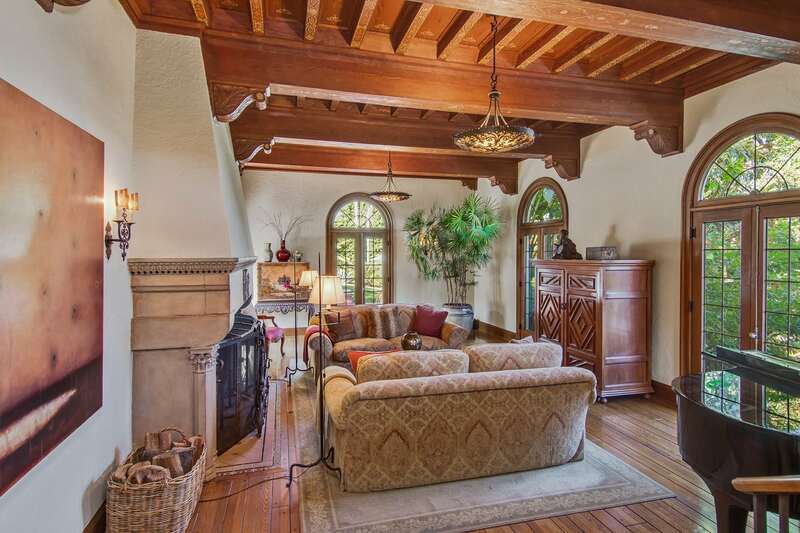 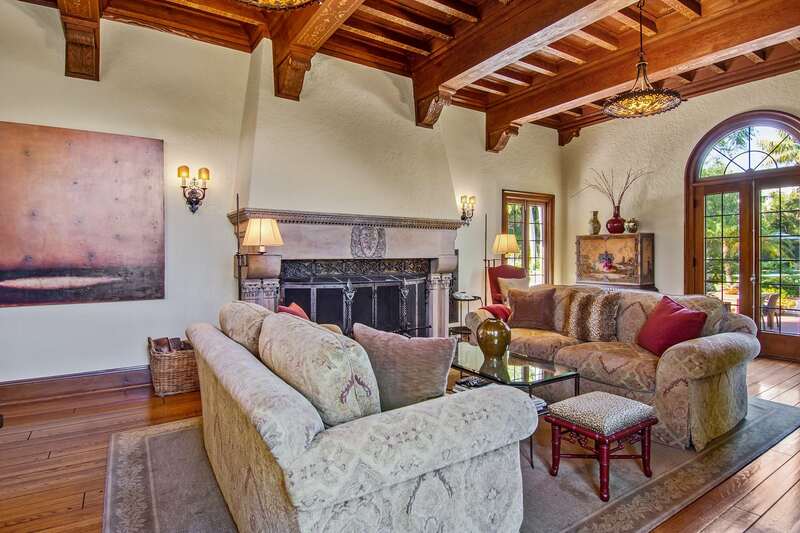 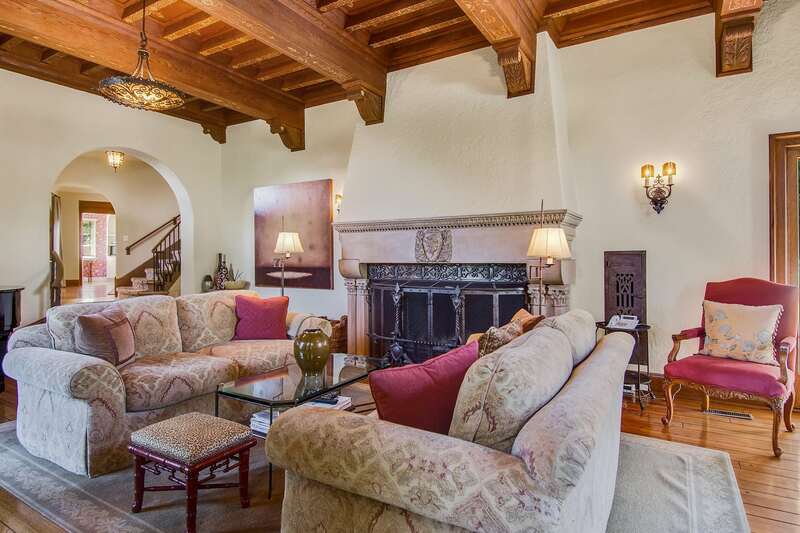 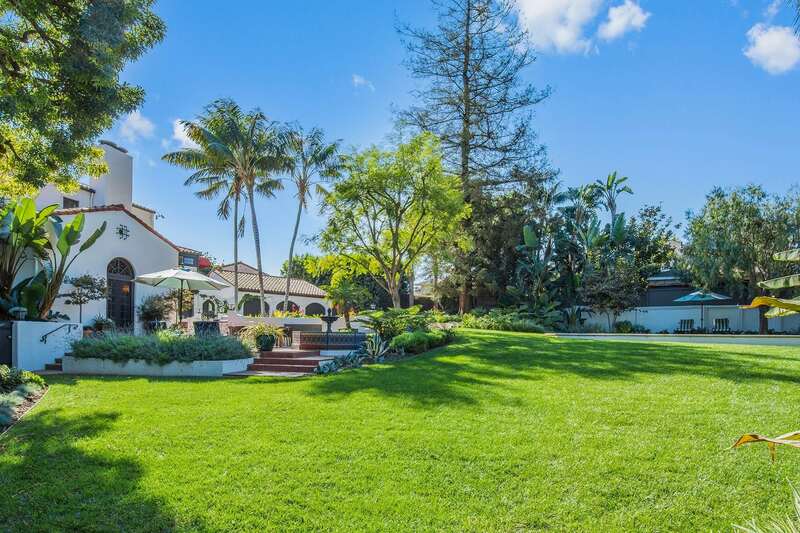 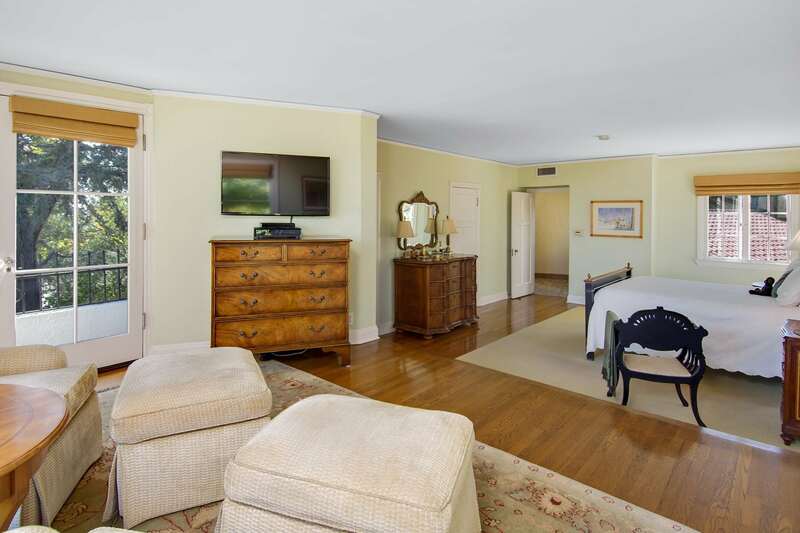 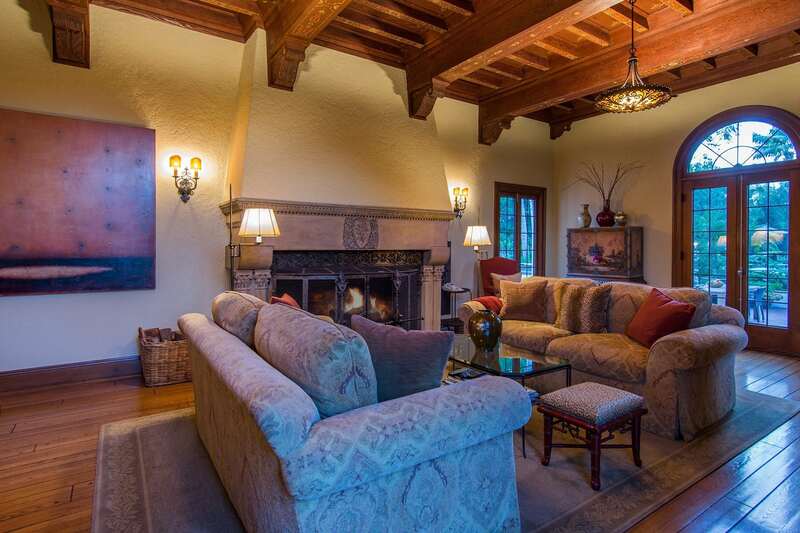 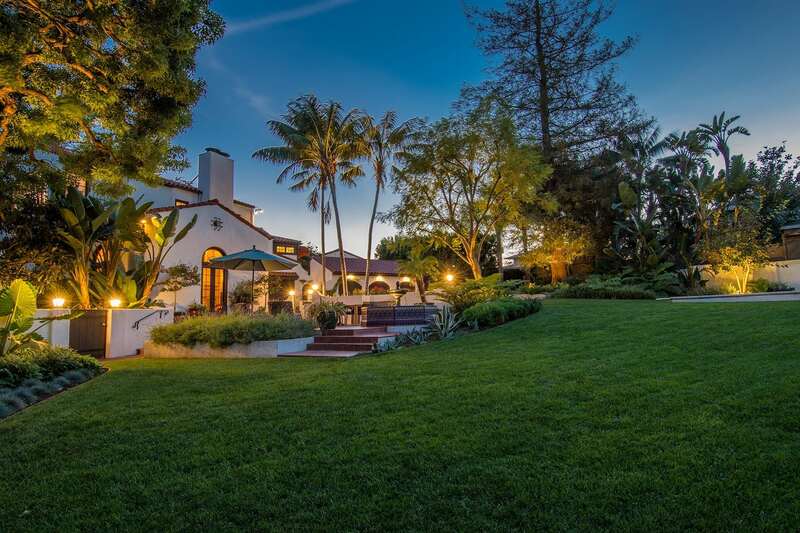 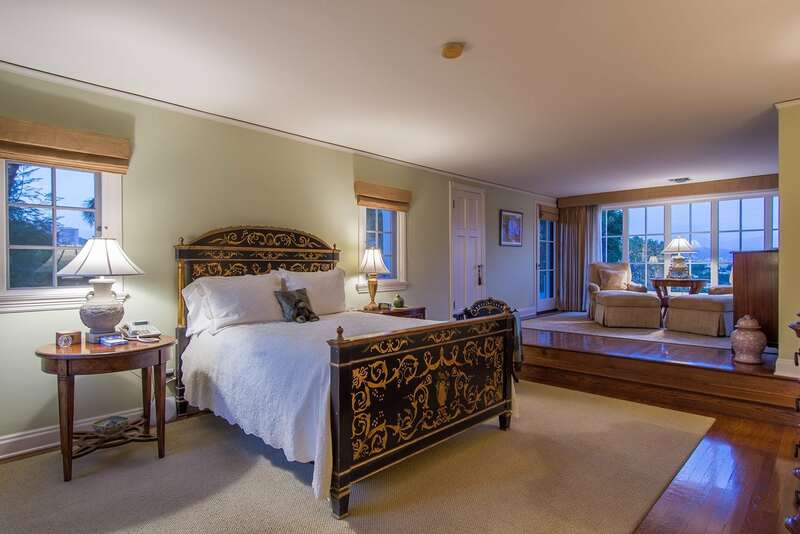 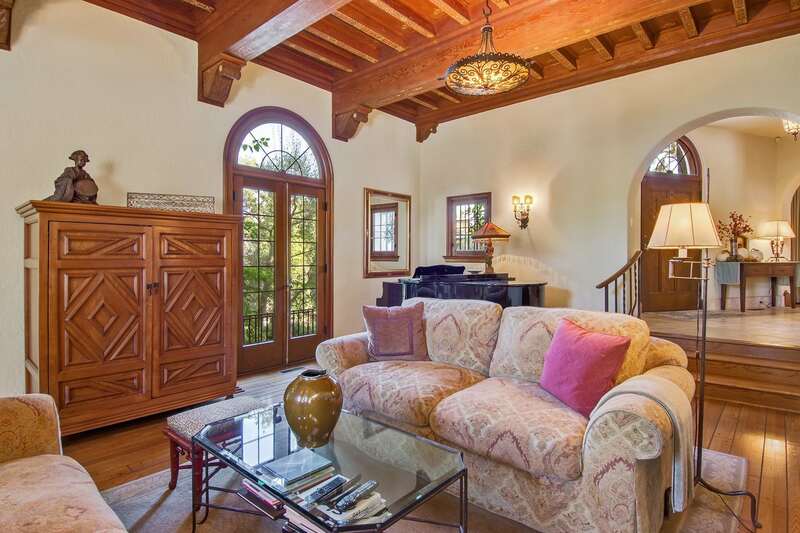 It’s easy to imagine Clark Gable sipping martinis with Carole Lombard in the formal living room- with its great exposed hand stenciled beams, commanding fireplace and majestic chandeliers, this home has all the makings of a fine castle on the hill. 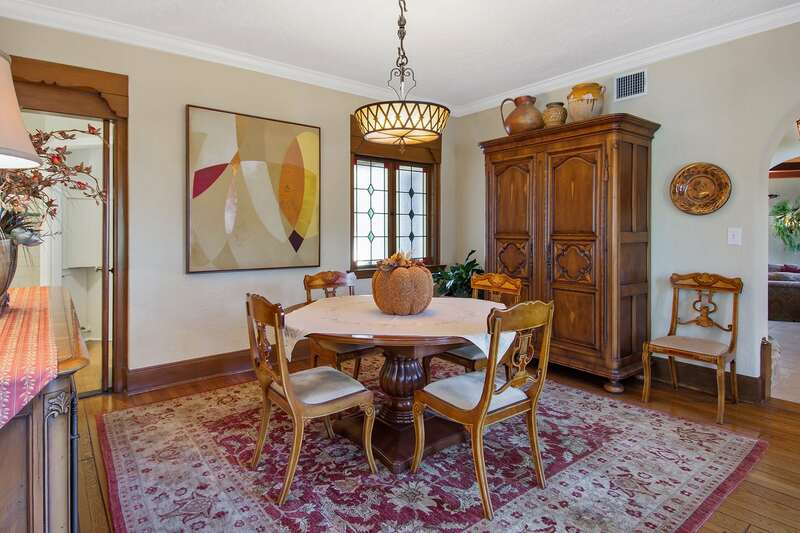 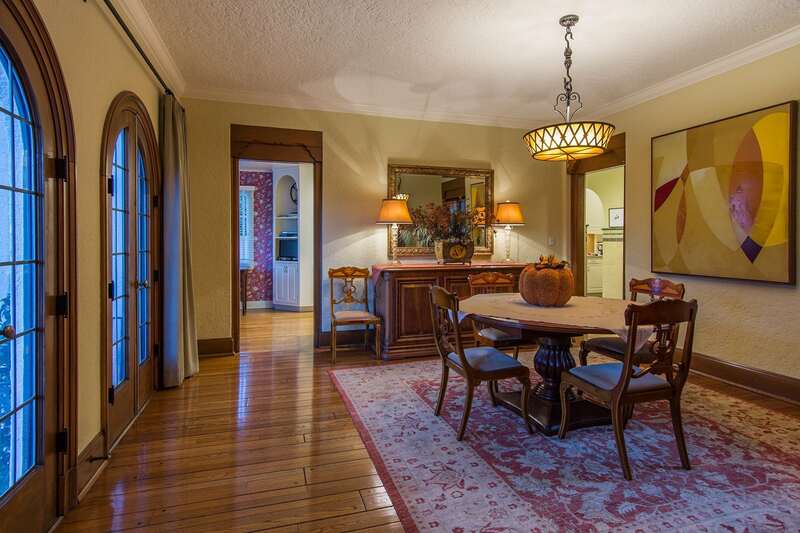 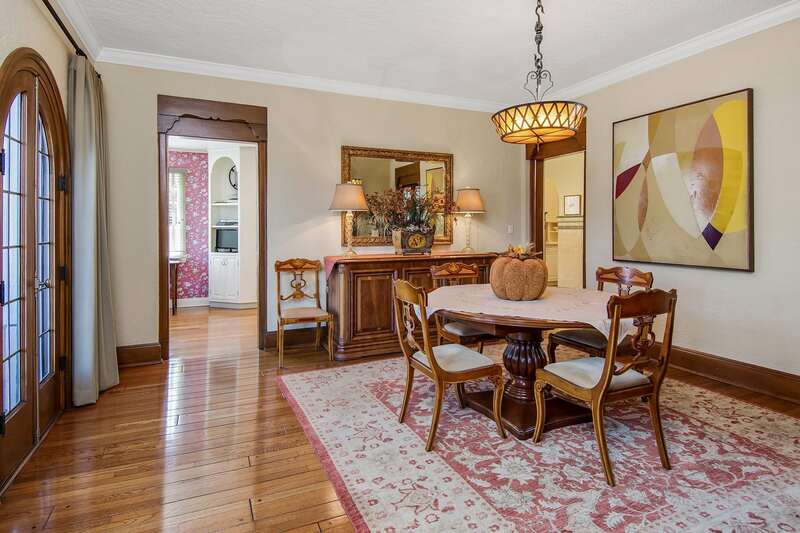 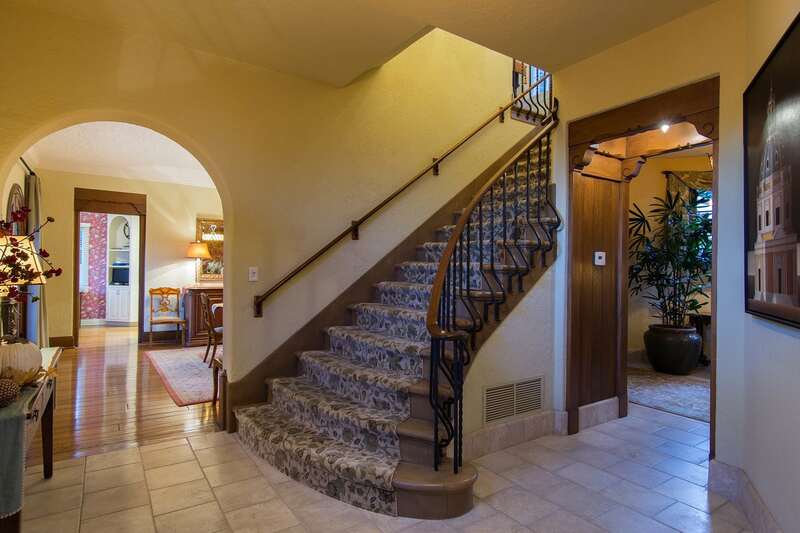 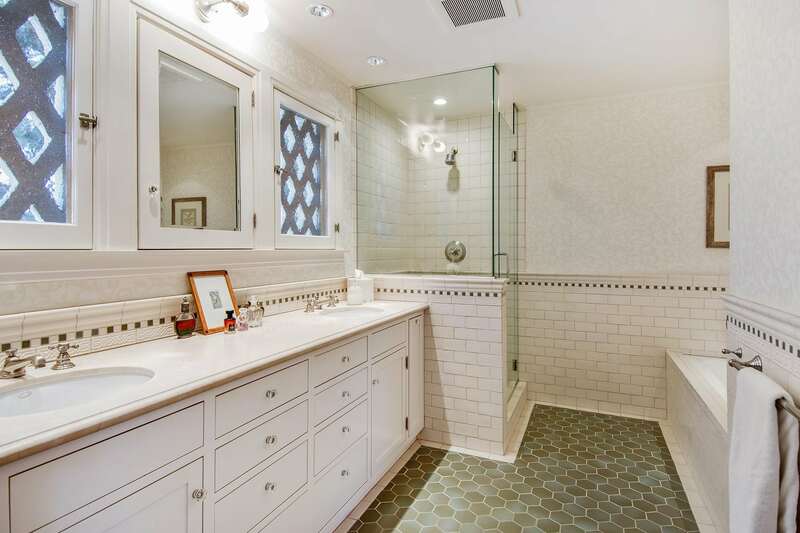 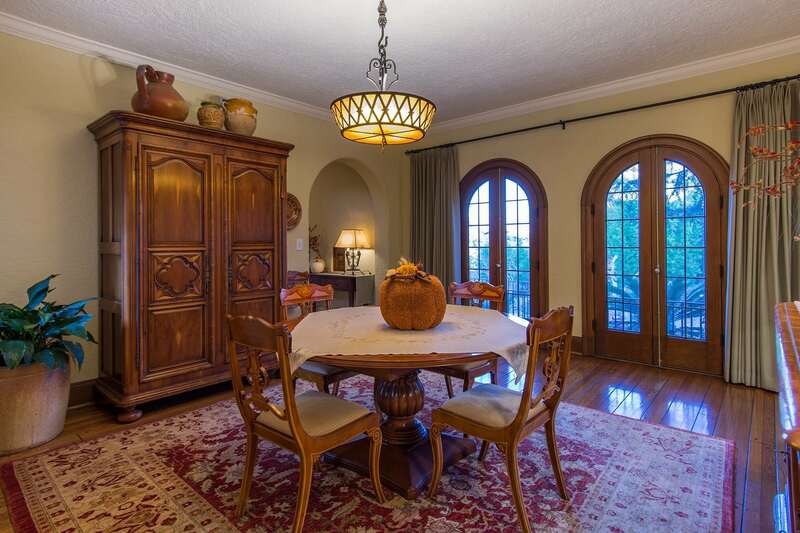 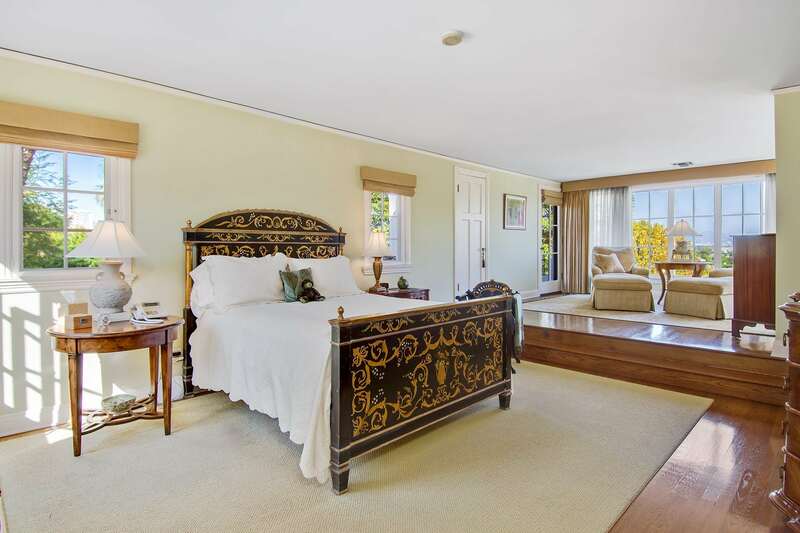 This remarkable estate includes a full, finished basement. 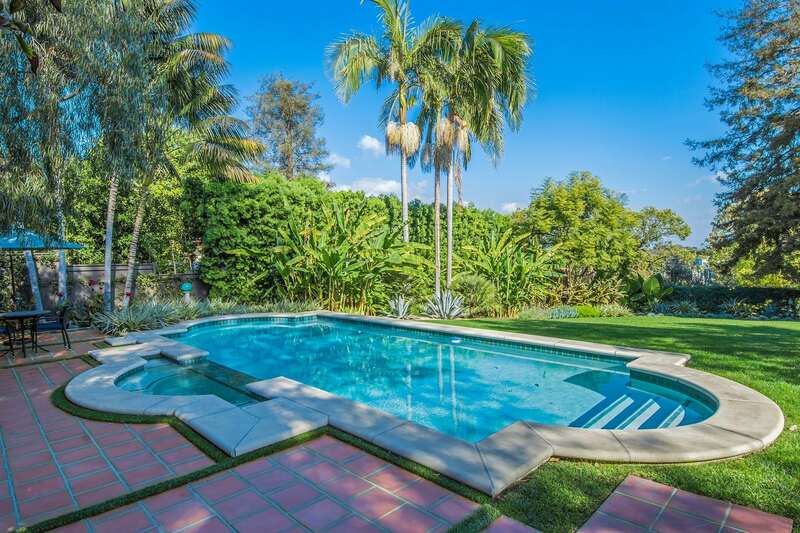 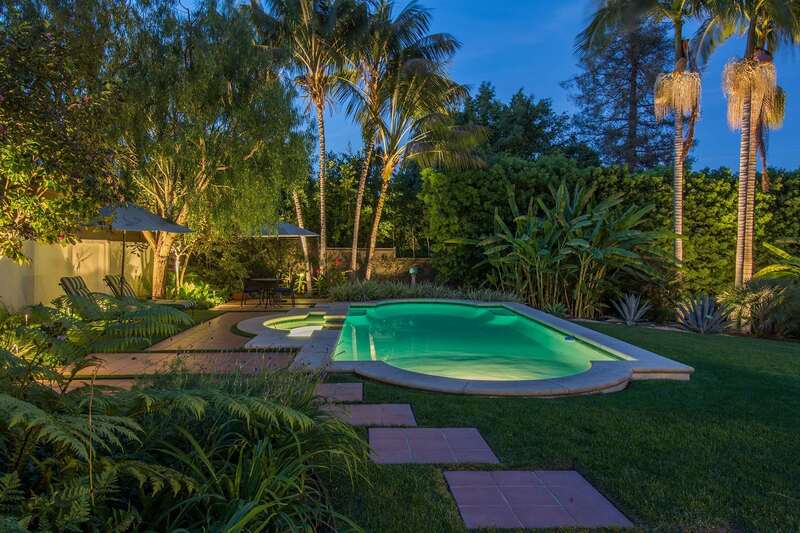 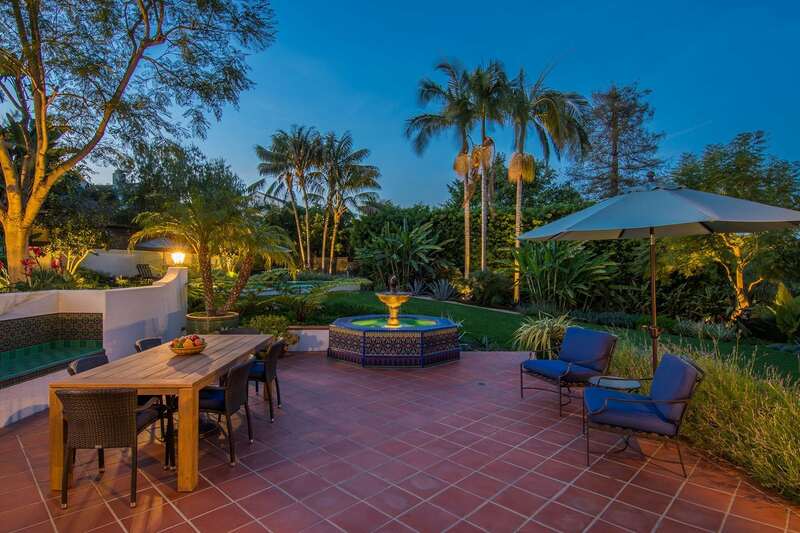 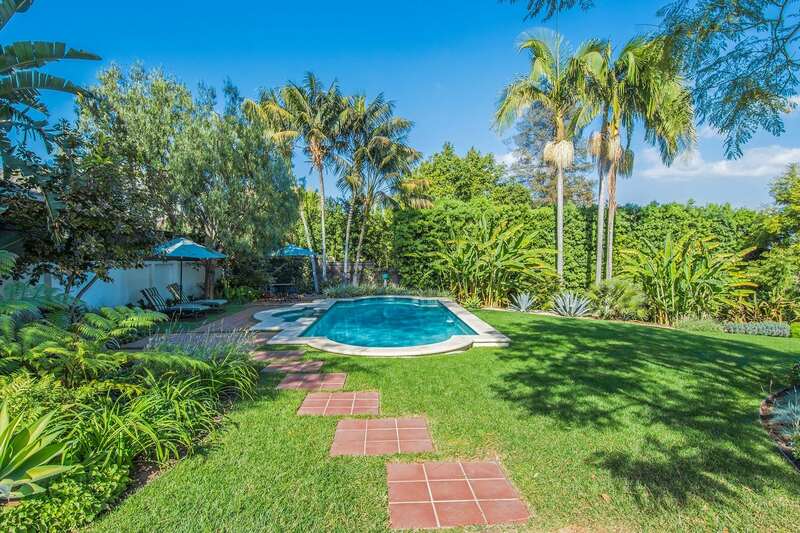 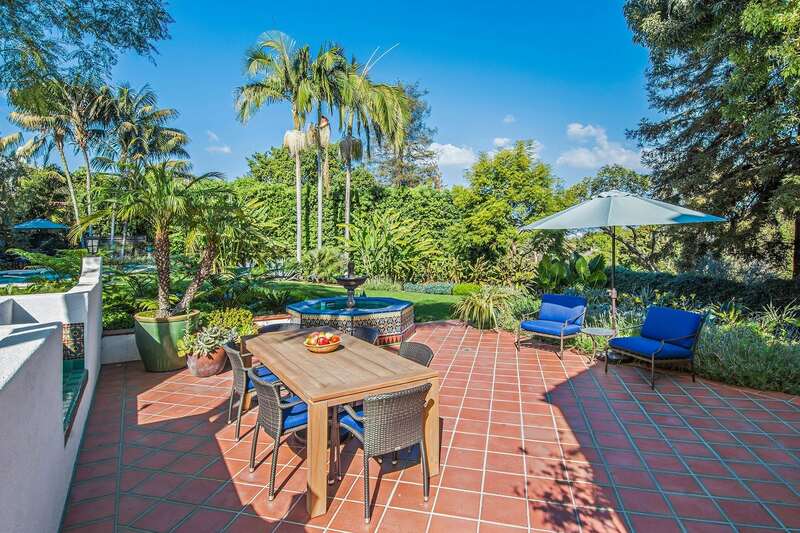 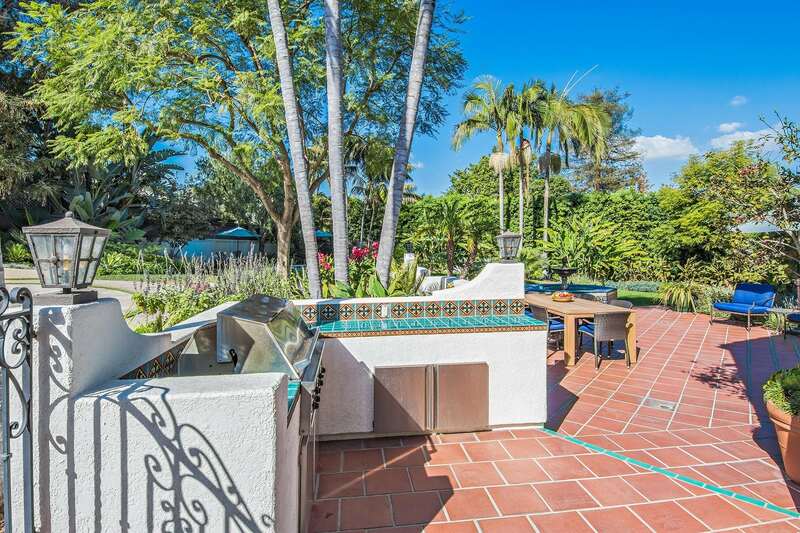 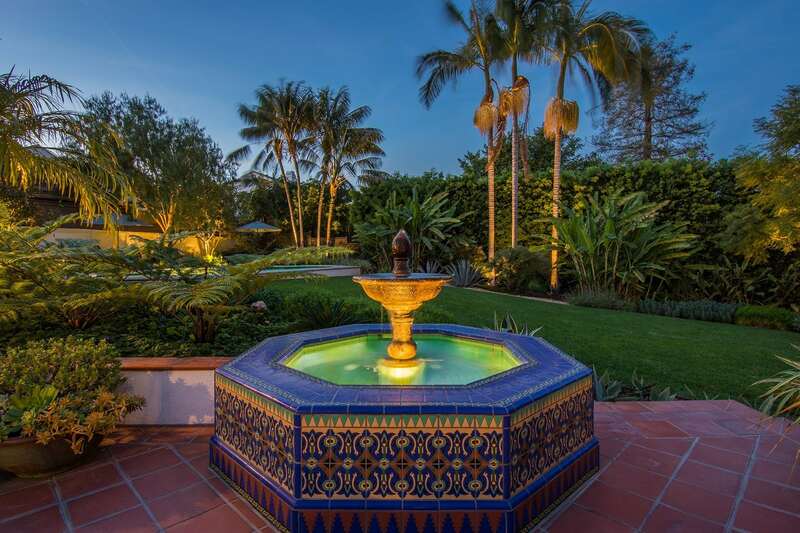 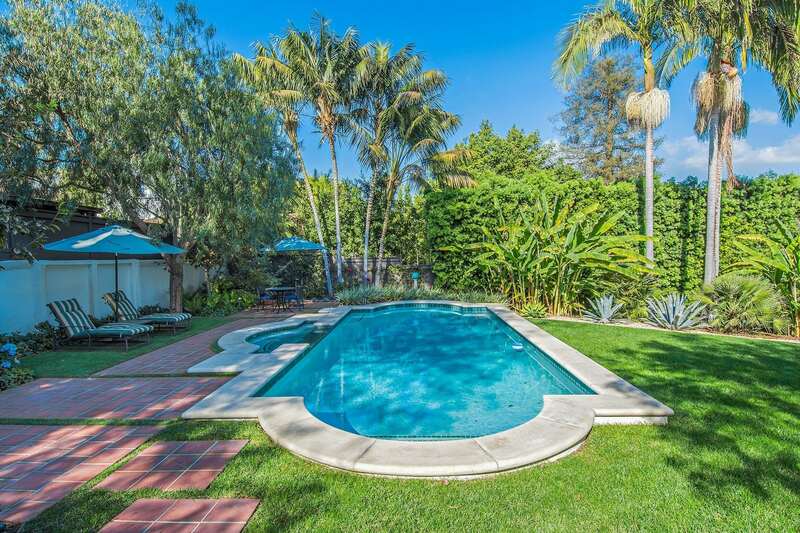 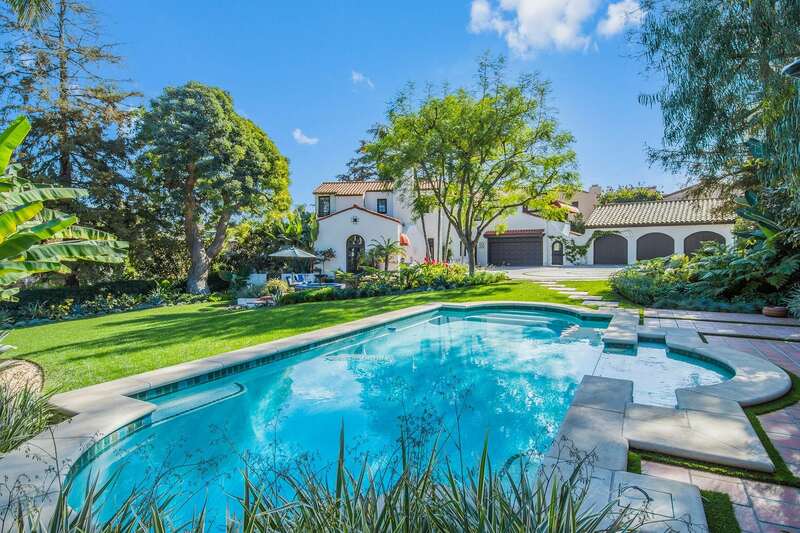 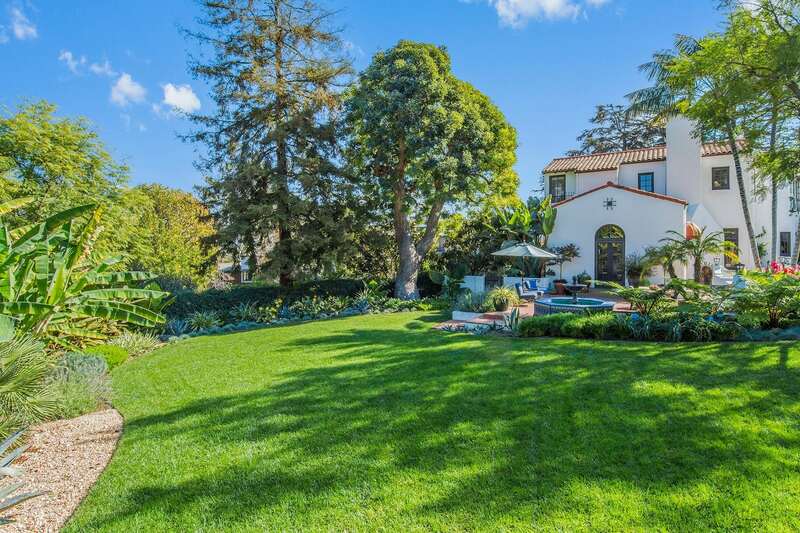 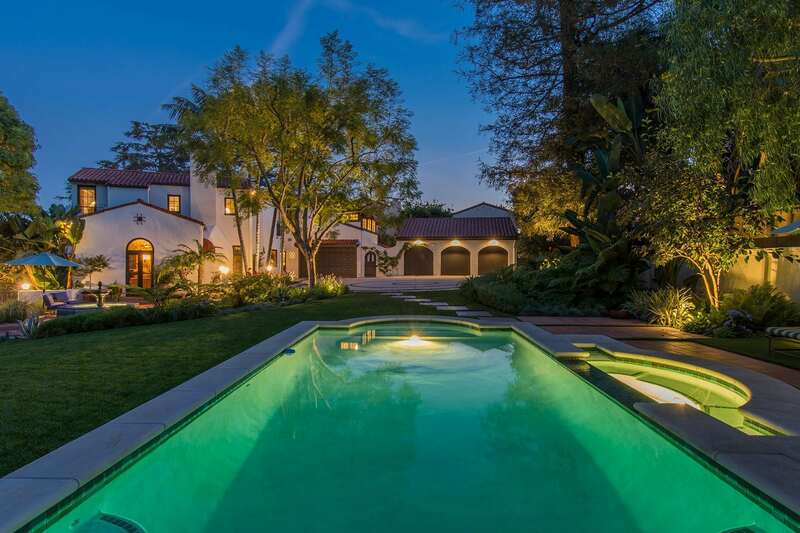 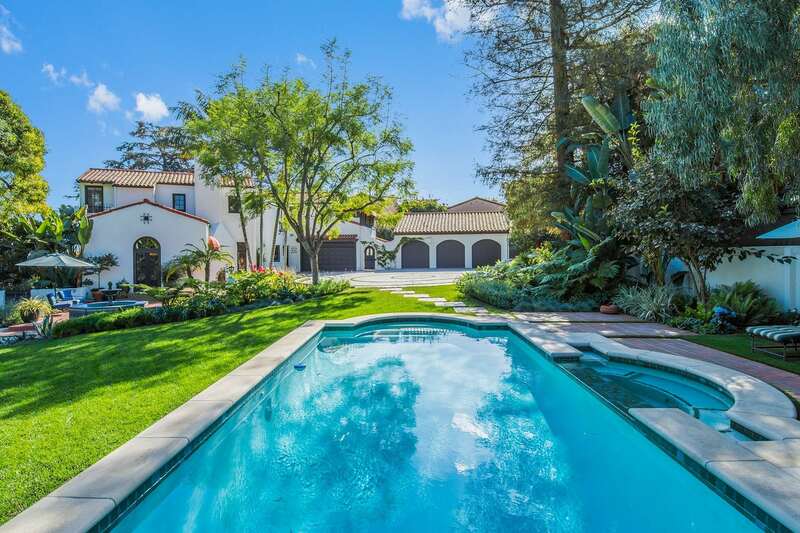 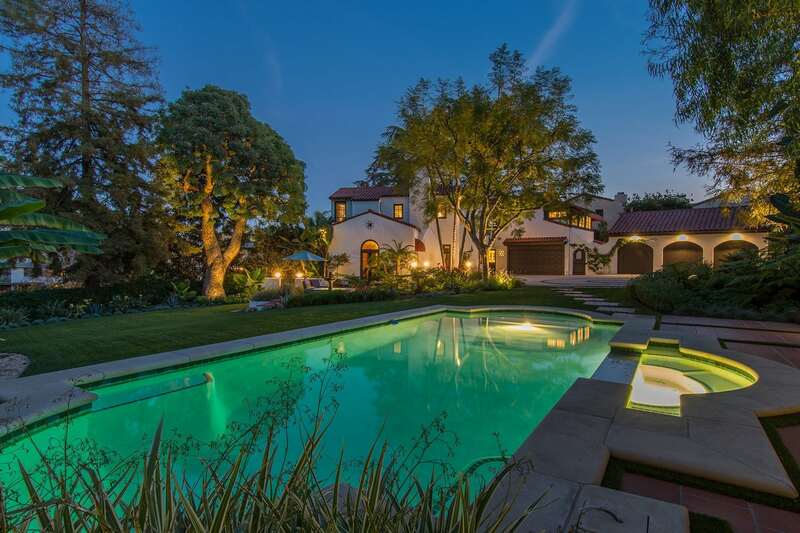 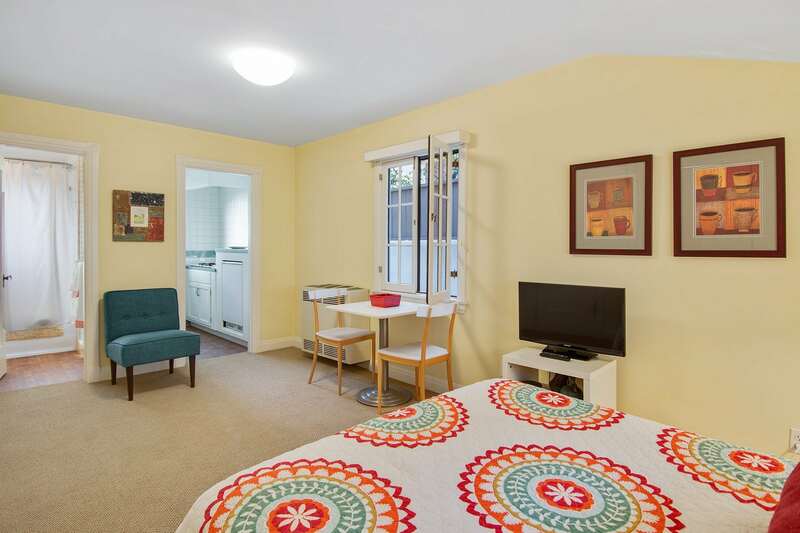 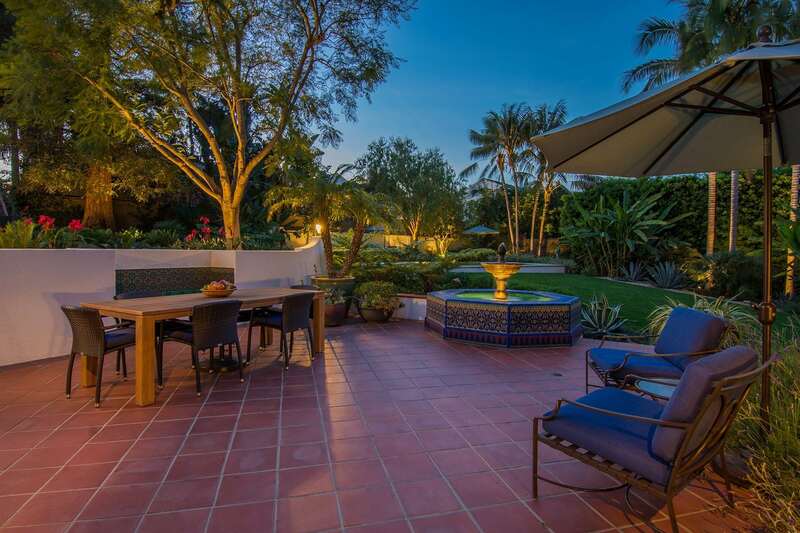 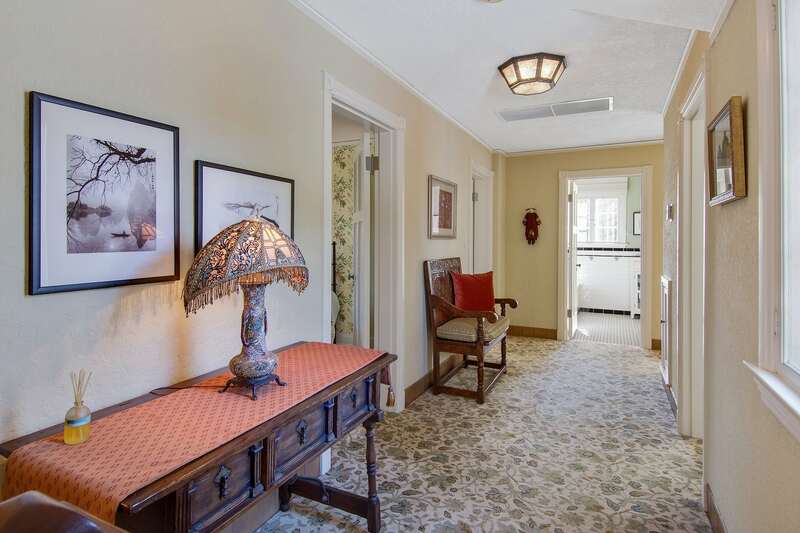 There is also an attached and beautifully updated guest house/mother-in-law or maid’s suite, garage space for 5 cars and a picturesque swimming pool that is the sparkling jewel in the ultra-private backyard crown. 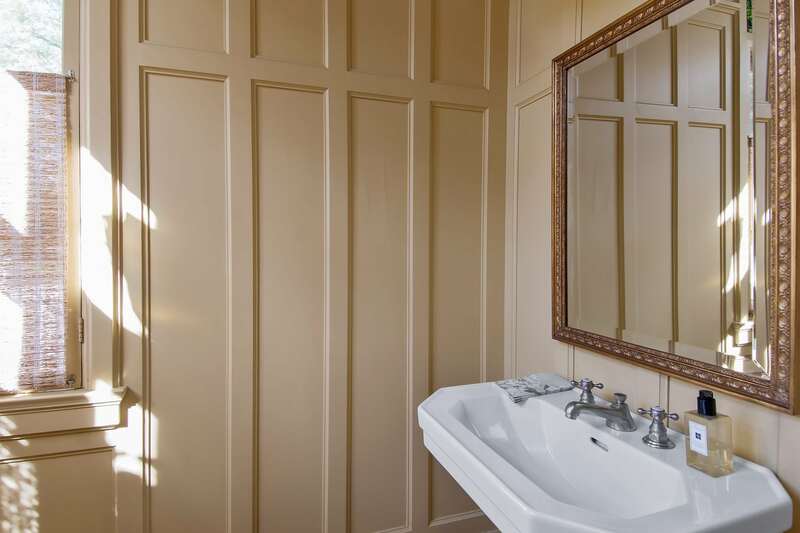 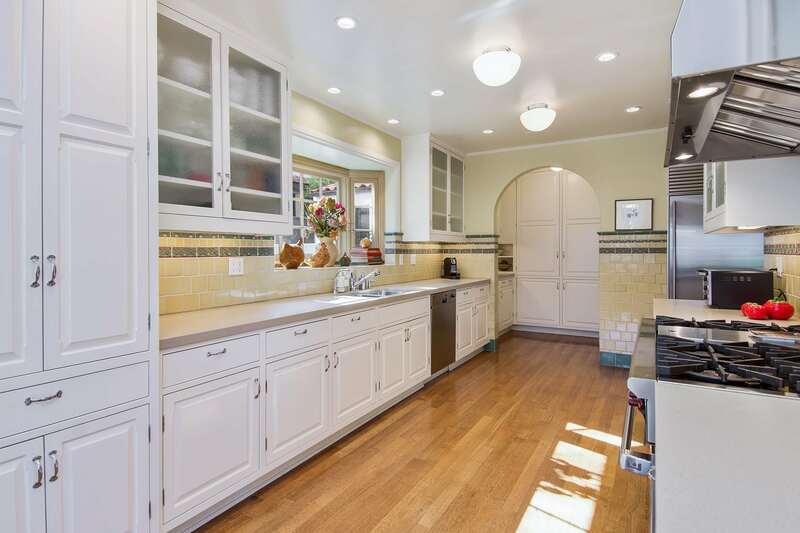 Back inside the house you will find original features missing from today’s architecture such as laundry shoots, a dumb-waiter, blooms of stained glass in surprising places, ultra-high ceilings, crystal knobs and authentic finishes. 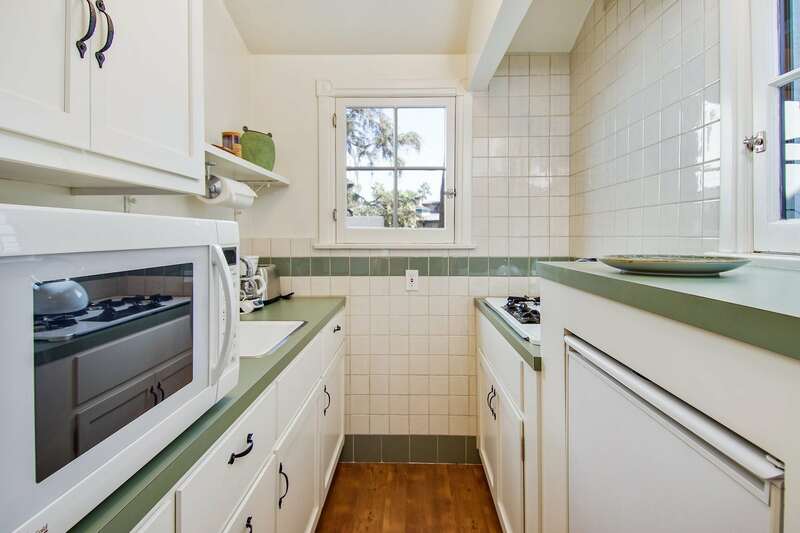 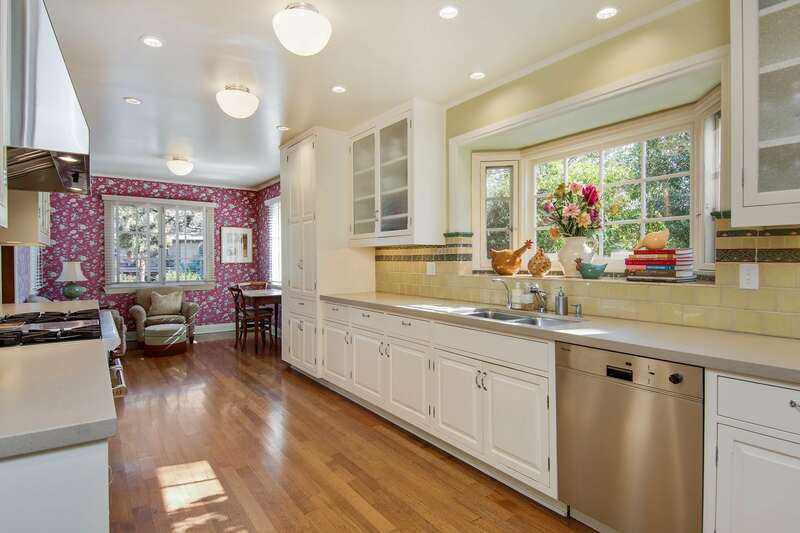 The kitchen has been completely updated to keep in step with the needs of today’s modern family yet remains true to the style of the house: stainless steel Wolf range and SubZero refrigerator, colorful tile work and a bright and comfy breakfast nook. 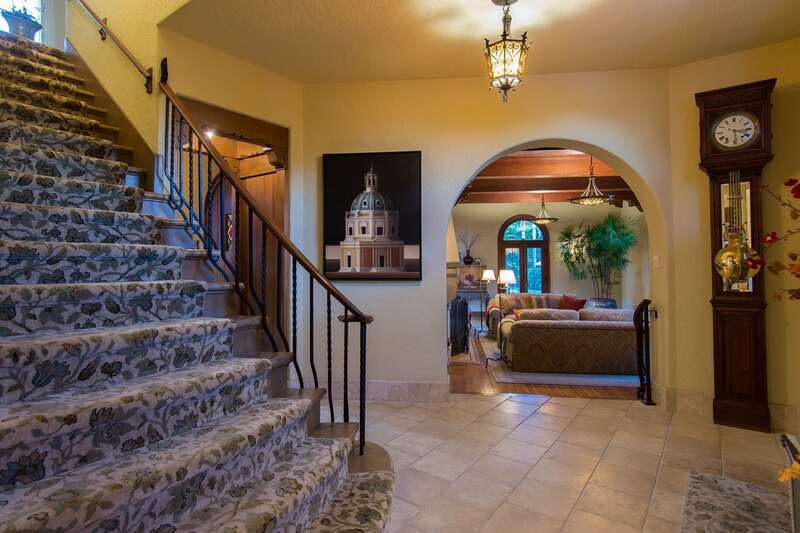 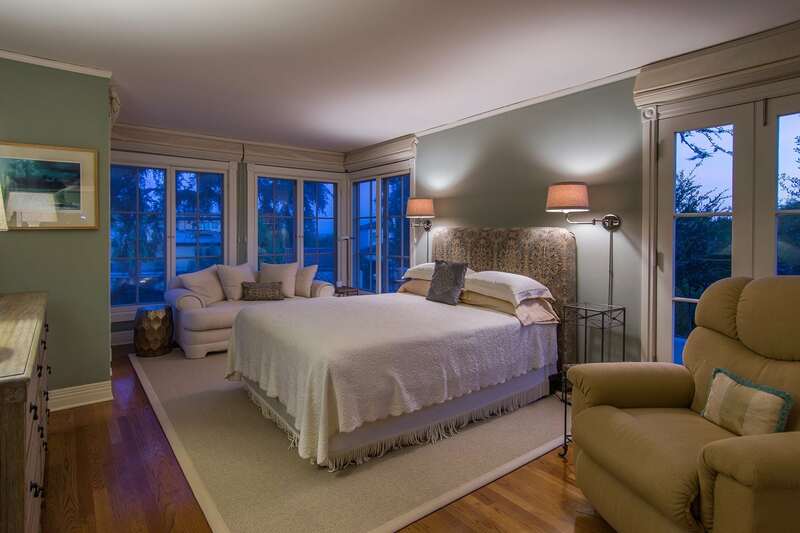 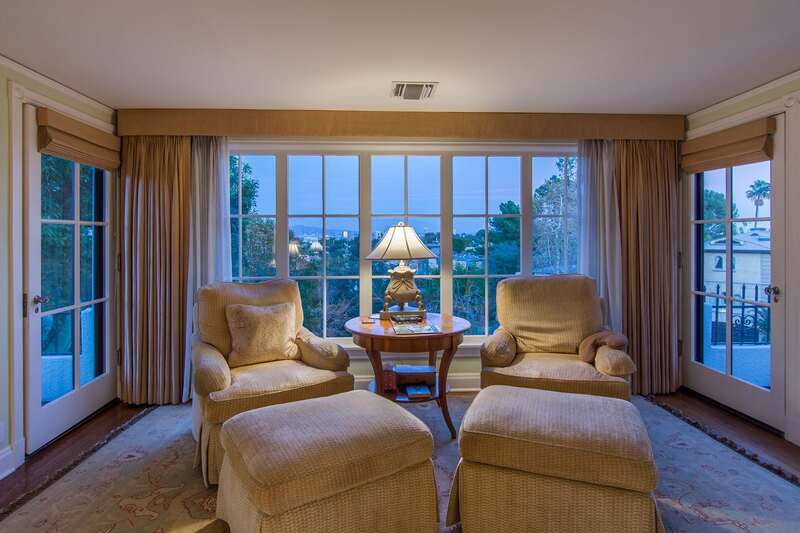 Upstairs are four bedrooms and you’ll be astonished at their large sizes and spectacular views. 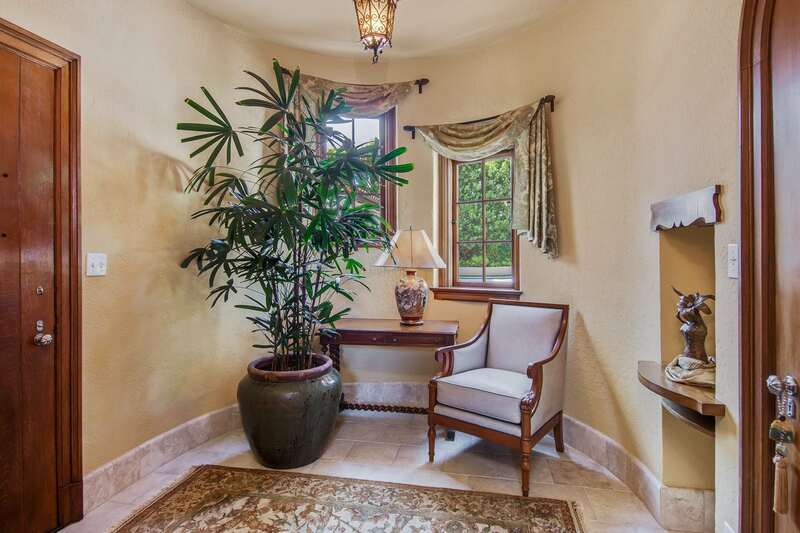 The master suite has his/her walk-in closets, designer bathroom, balconies and a tranquil sitting area~ the perfect spot to sip a morning coffee while glancing at the paper. 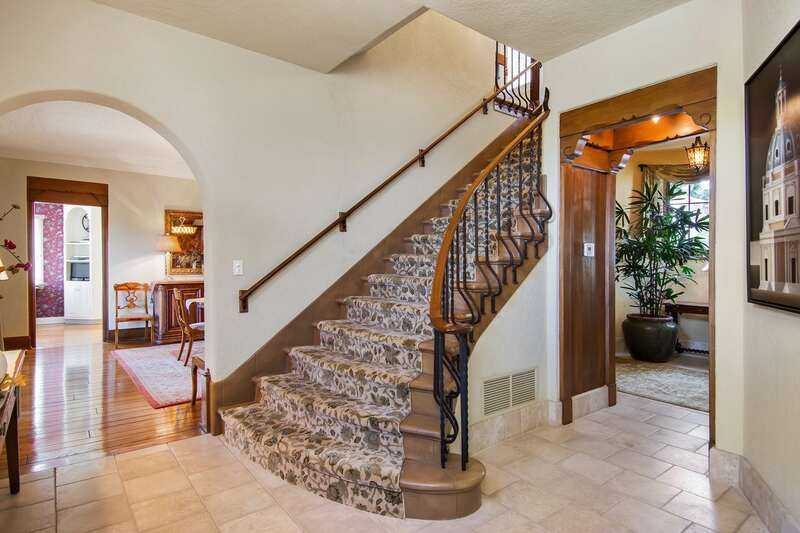 Also upstairs you’ll find handsome, at-home offices that could be used as-is or easily be transformed to a nursery, gym or any space of your imagination. 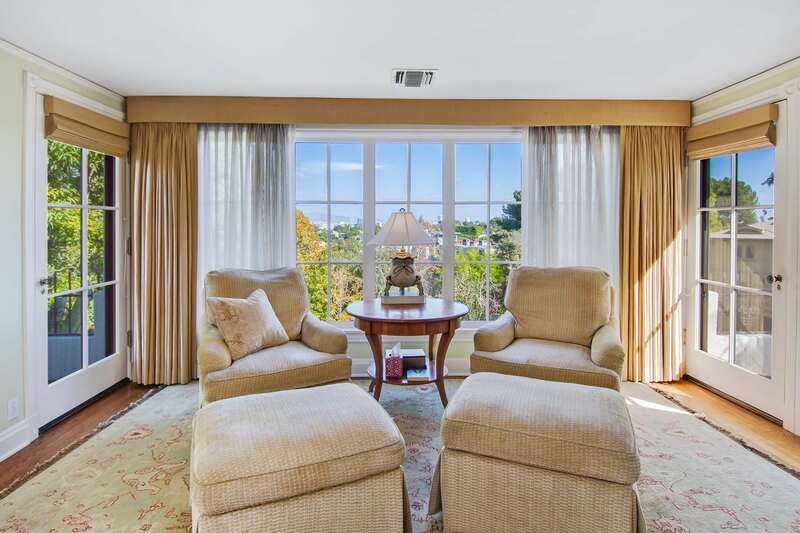 With an abundance of storage capabilities, all new heating/air system, updated electrical and plumbing, new roof, upgraded sewer system and mature landscaping, this home is a stunningly private sanctuary that should be seen and admired today. 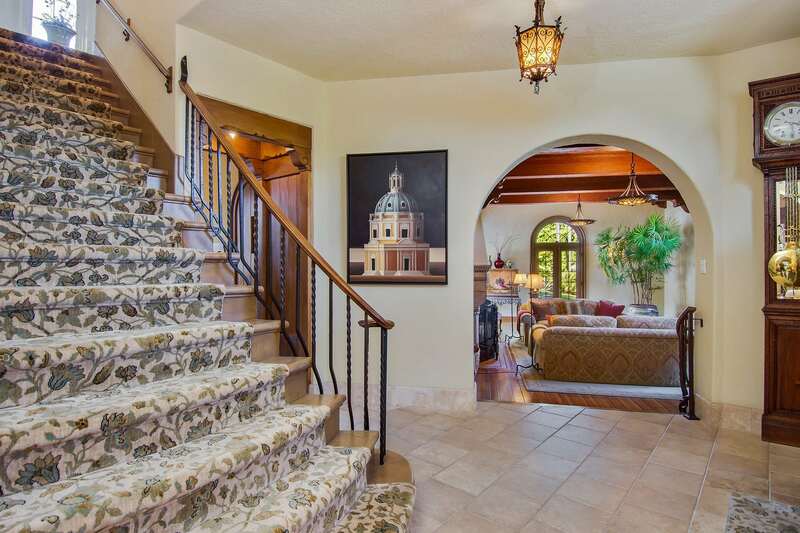 Interested in 2789 McConnell Dr?